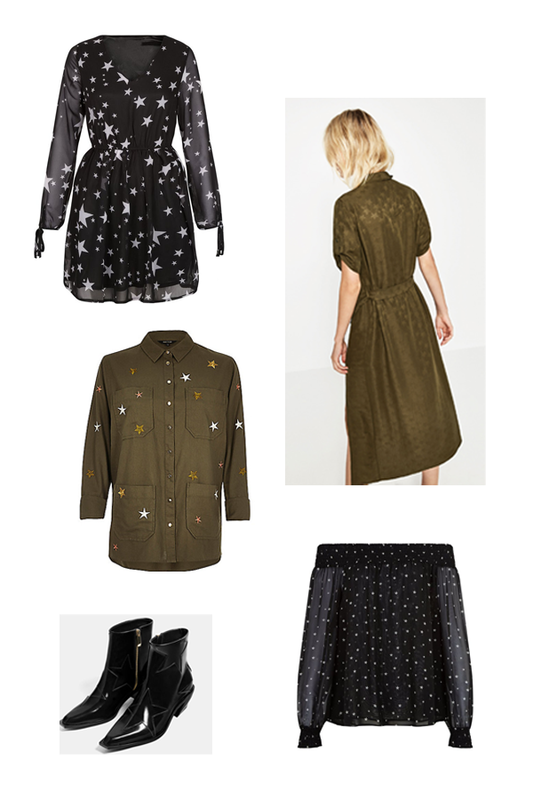 This evening we’re taking you star gazing with a peek at some of the prettiest cosmic prints around this season. Cropping up in a galaxy of shapes and sizes, on everything from blouses to boots – star prints are certainly having a moment! I’m loving that khaki shirt which could also be worn open as a jacket over your favourite pair of denims. As for the bardot top, I can’t get enough (see here)! This one would look fab teamed with faux leather trousers. So that’s it, just a few more additions to my autumn shopping list….that is growing by the day!